Warwick Bed and Breakfast came to us looking for a updated, modern look on their Website, Social Media and Print Materials. We built Loretta a new modern, mobile responsive website chock full of beautiful photos to highlight the features of this immaculate Bed and Breakfast. We then rebranded their Social Media to match the look of their new website. We are also managing their Social Media (Facebook, Instagram, Twitter) and handling all of their Digital Marketing needs (Google AdWords, online travel websites such as AirBnb, Expedia, Travelocity, etc). The Chateau Hathorn reached out to us looking to bring in more clients for their wedding services. We sat down with them and developed a new brand that included a modern, mobile responsive Website, new Logo, branding across their Social Media and online listings. We also manage their Website Updates, Social Media (Facebook, Instagram, Twitter), Digital Marketing needs (Google, Wedding Wire, etc) and Print Needs. QB Ball came to us with just an idea. They needed everything from a Name for their new sport to Branding, Logo, Website and Social Media. 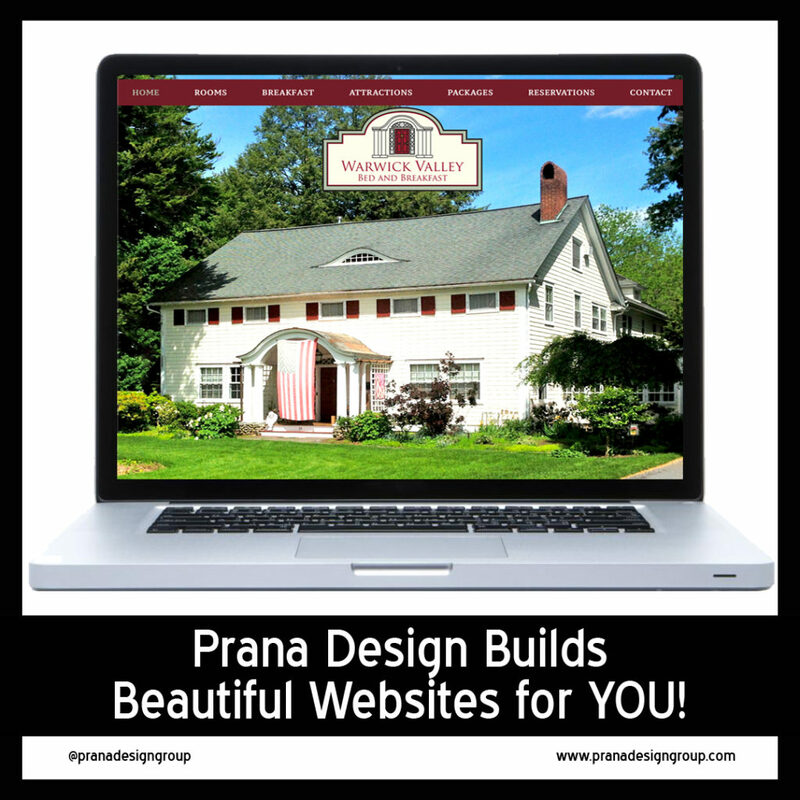 That's right, Prana Design Group can even help with a name for your business! 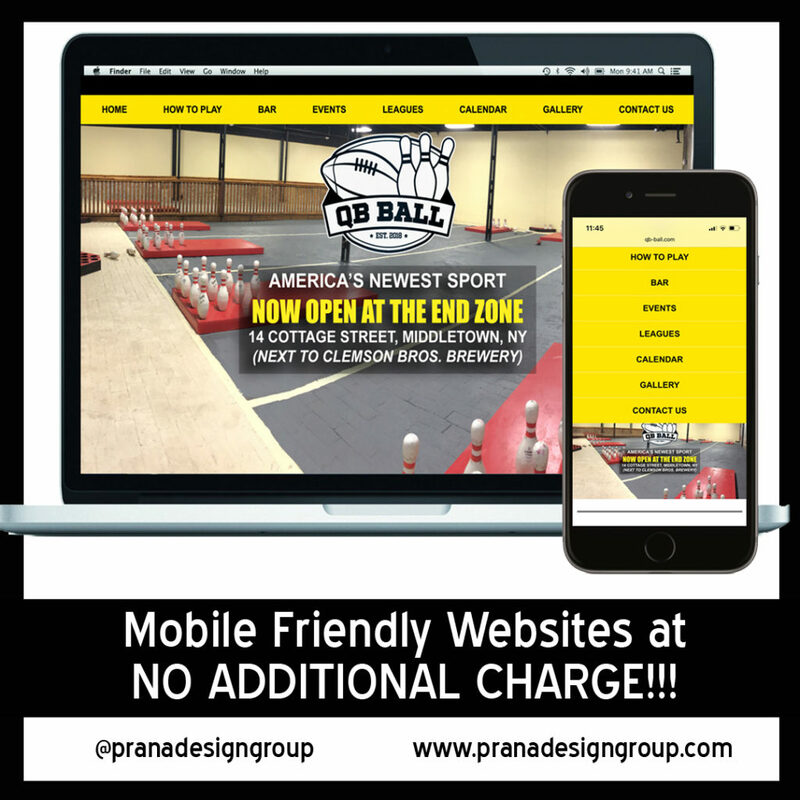 After finding the perfect name for their new sport we built a fresh and sporty feeling Website to highlight their newly renovated warehouse space. We then continued this Branding onto their Social Media and helped develop their online presence. We also designed their hand painted signage on their warehouse in the historic district of Middletown, NY carefully following the strict rules of signage in this area. Serendipitous Scents needed a new Logo and from there developed a beautiful 2 year relationship. We have been working with Amanda on several websites, one for Serendipitous Scents. We also created Logos for 3 of her products lines, Labels for her products, Photography and Video of her products. 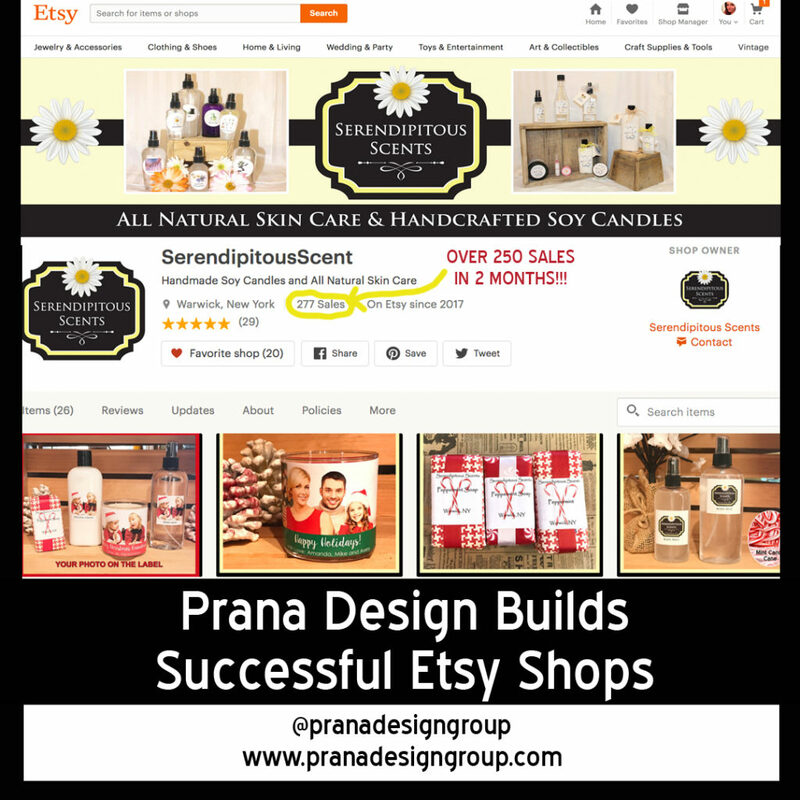 We built and helped maintain her very successful Etsy Shop. 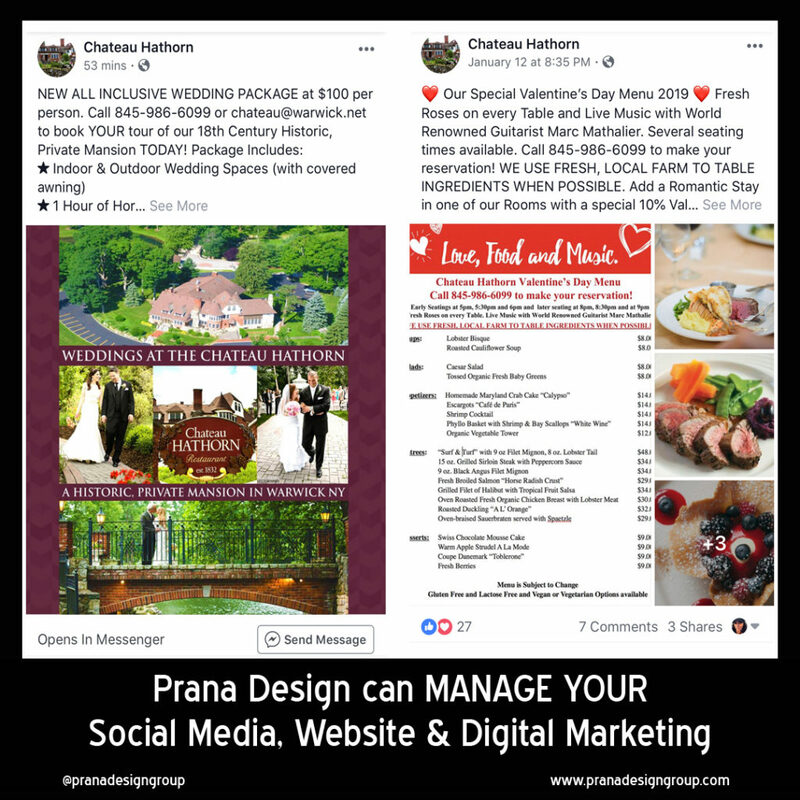 We are also managing their Social Media (Facebook, Instagram, Pinterest) their Digital Marketing needs, Etsy Management, all Print Design needs and more! 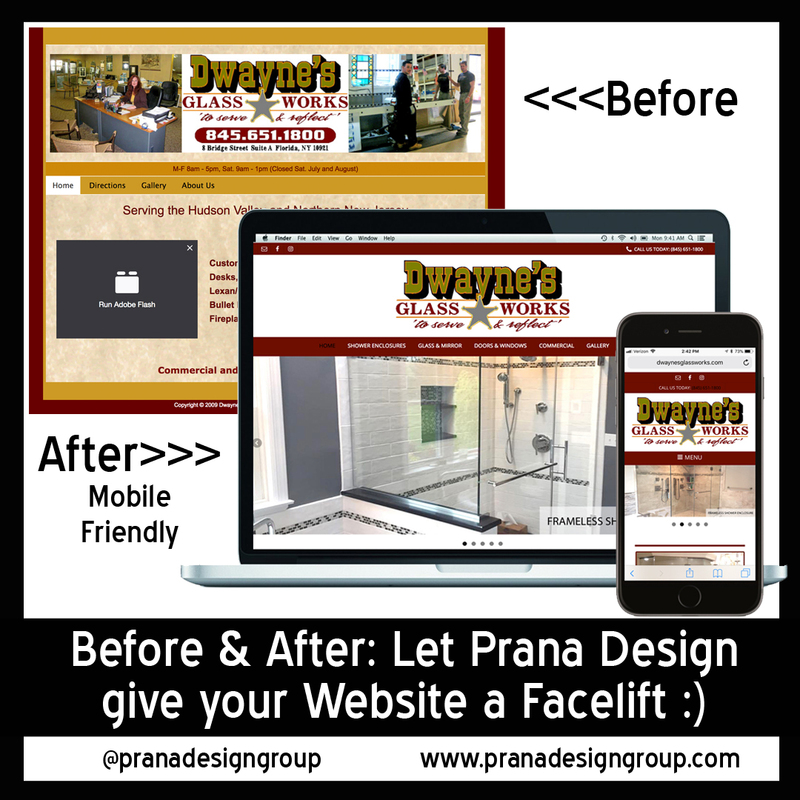 Dwayne's Glassworks contacted us to design a new website because their old website was outdated and the designer they had hired to build a new site was taking over a year to finish it. We had the new Dwayne's Glassworks Website up and complete within 2 months of starting the project. The new Website was complete with multiple photo galleries highlighting the variety of work they perform and SEO Friendly Copy that we wrote so their website would get found online. We even gave their son a lesson on how to make updates himself! 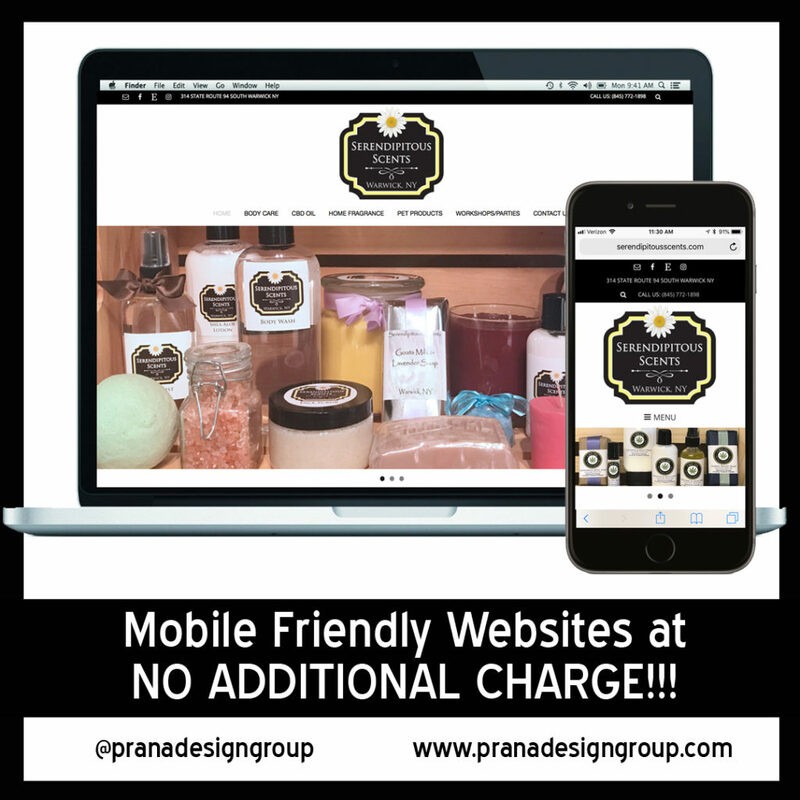 Treasured Moments Stationery is the first company that Anna, owner of Prana Design Group, started and has been completely built from the ground up by Prana Design Group. 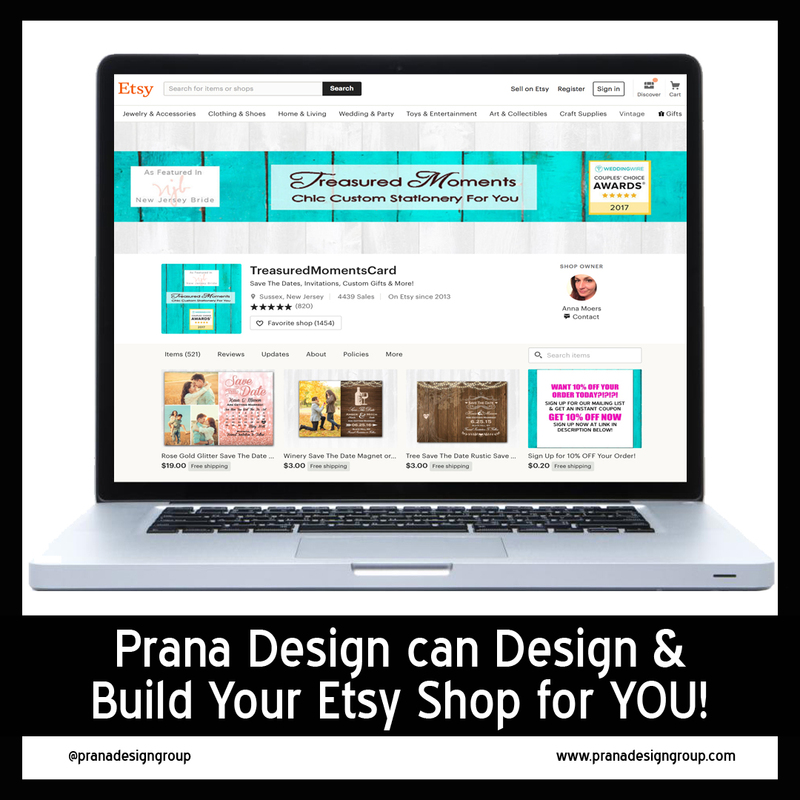 All Stationery and Custom Gift Designs are designed by Prana Design. 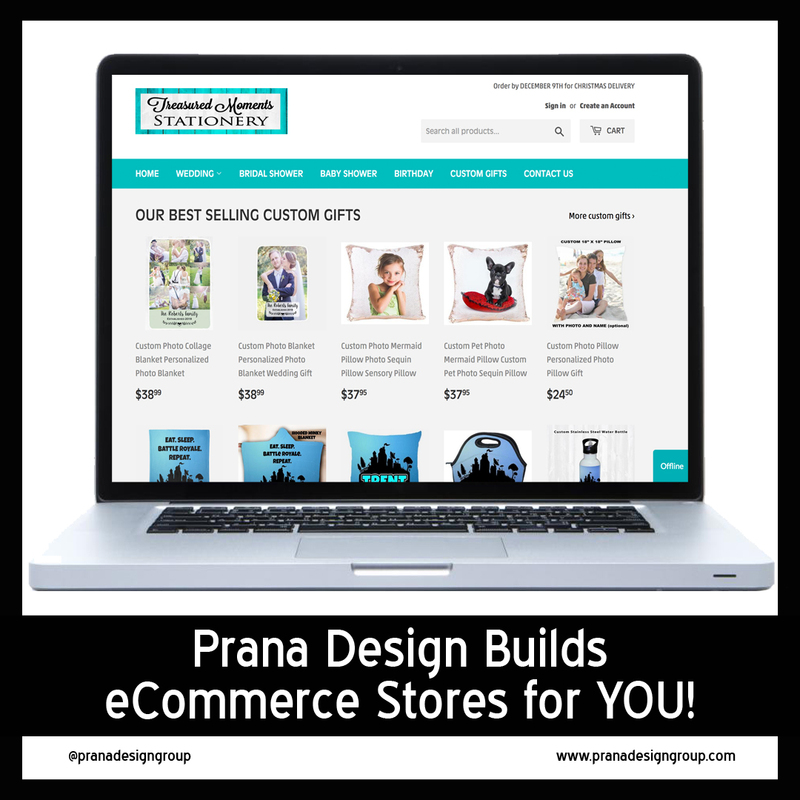 Prana Design built the super successful Etsy Shop and the new Shopify eCommerce Website. 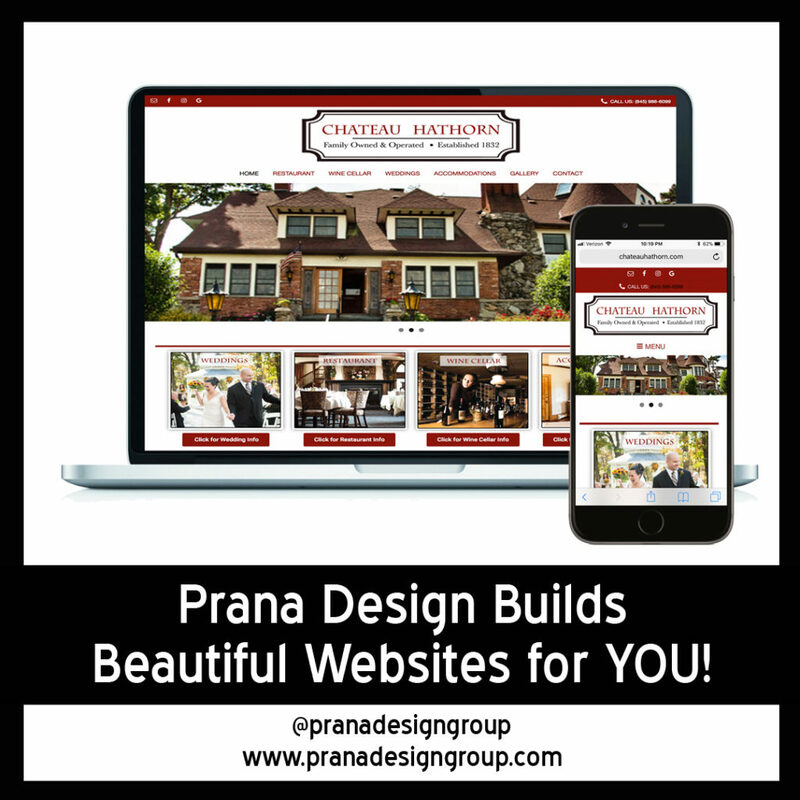 Prana Design also branded and manages all Social Media and Digital Marketing including Facebook, Instagram, Pinterest, Google Business, Wedding Wire, etc.